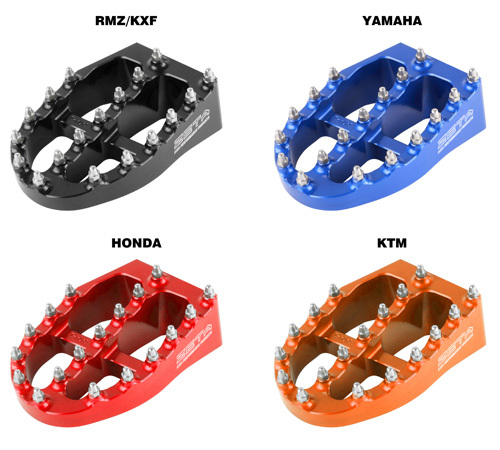 Replace those narrow heavy OEM foot pegs with the Zeta Racing Aluminum Foot Pegs. When you are on your dirt bike a stable platform when riding is important. The Aluminum Foot Pegs offer a wider platform and the spikes offer more traction for your foot preventing you from slipping. Over all it offers more control on your bike.